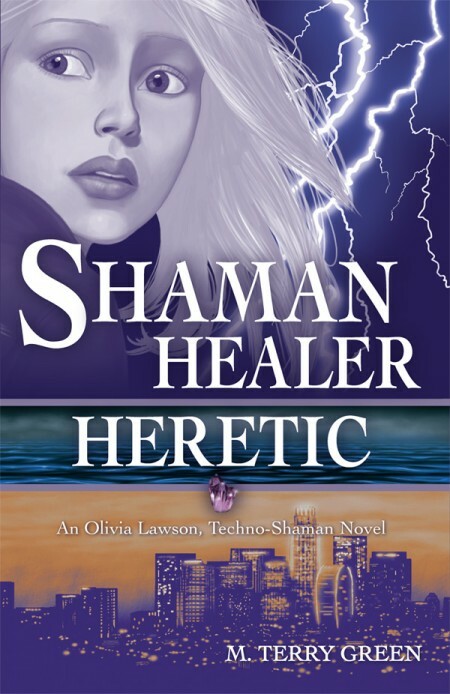 I recently completed the cover art for M. Terry Green’s upcoming book Shaman, Healer, Heretic. All of the cover elements– main character, city, amethyst, lightning and water– were painted by me in Photoshop CS4. Layout was handled capably by the author.